Let us help you lodge your entire family and enjoy a catered rehearsal BBQ dinner for 25 people. You can build your own weekend package by choosing any 3 of our properties and stay for ONLY 2 nights (3 night min required outside of package). Perfect for fun and games or just visiting Uncle Charlie.... Want something other than a BBQ? 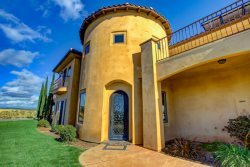 Just tell us what your favorite meal is, and we can arrange to bring it in for you (an additional may apply).Enjoy private 5 acre amenities, located minutes from the Temecula Wineries. 2-Night in all the properties minimum required. Ask us about additional properties available for groups of 50 or more. Call (951)237-2273 for more details!